The South Gifford Pinchot Collaborative is hosting a public workshop on June 7th from 6:00-8:00PM at the Hegewald Center (710 SW Rock Creek Dr) in Stevenson, WA to gather public input on the future management of developed recreation on the Gifford Pinchot National Forest (GPNF). This will be a chance for members of the public to hear from the Forest Service about the ongoing Sustainable Recreation Strategy and their recently completed Recreation Site Analysis, and an opportunity to provide feedback on the future management of developed recreation sites on the Forest. 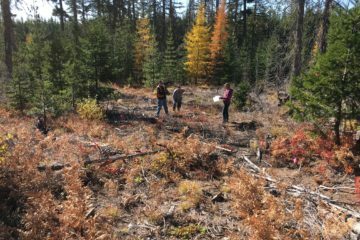 The Forest Service needs help finding ways to manage developed recreation sites on the GPNF differently and wants to better understand the public’s uses and values around these sites. 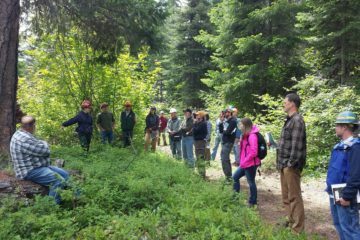 The South Gifford Pinchot Collaborative (SGPC) has worked with the Forest Service to design a workshop where you can learn more about the challenges around maintaining developed recreation sites and provide feedback on possible changes to how sites are managed. This workshop is focused on developed recreation sites, but in the next year, the Forest will look at the sustainability of the existing trail system, dispersed recreation and other uses, and other related recreation opportunities. 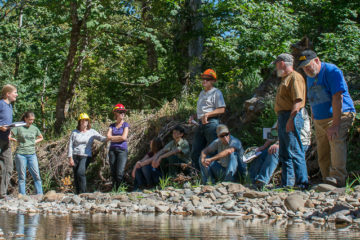 If you are unable to attend the workshop in person and would still like to provide feedback, the Forest Service has developed a Sustainable Recreation Strategy website with a link to an online survey: http://www.fs.usda.gov/detail/giffordpinchot/recreation//?cid=FSEPRD578910. Maybe try the “own a piece of the Chisim Trail”. People could do donations to specific campgrounds or trails. Just a thought; it works for state hiways.